TIBBITS, Emily M et al. Stepwise Reperfusion After Zone 1 REBOA: Is Repositioning to Zone 3 a Useful Maneuver?. Journal of Endovascular Resuscitation and Trauma Management, [S.l. ], v. 2, n. 3, sep. 2018. ISSN 2002-7567. 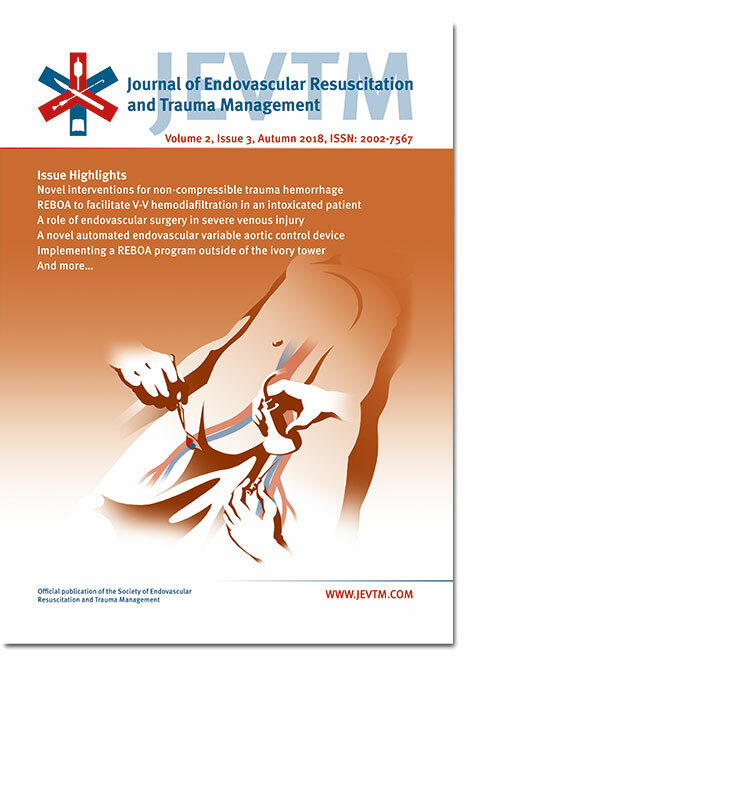 Available at: <http://www.jevtm.com/journal/index.php/jevtm/article/view/61>. Date accessed: 26 apr. 2019. doi: https://doi.org/10.26676/jevtm.v2i3.61.